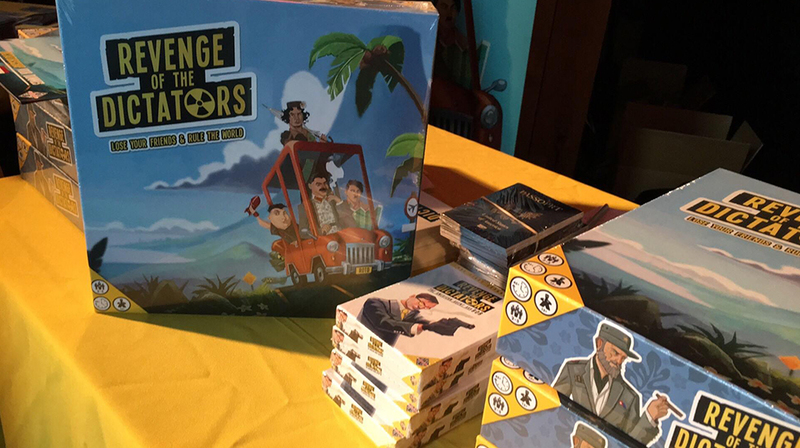 We are so excited to be presenting our first board game Revenge of the Dictators at Essen Spiel. For years we would go to Essen as visitors to check out the newest games, meet great people, and to get tempted to buy that one super expensive huge game we wanted for ages. Then, when we’d come home, everyone would be shocked by the size of the bags containing some really good stuff. Opening the boxes, popping out cardboard tokens and getting to the rules… all felt like Christmass. It’s still hard to believe that after this year’s Essen there will be a bunch of people, who will be opening our boxes, popping out tokens and reading the rules in hope of becoming the awesomest dictator ever. We’re so thrilled to meet you there. We would have never come this far without your help!